Jusco School, Kadma organised a mini marathon for the students on Saturday. 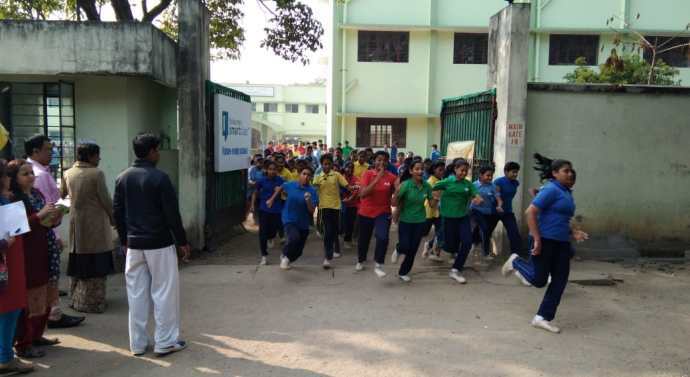 The marathon was flagged off from the school premises. The students of class 7, 8, 9, 10 and 11 participated in the marathon. The Principal Nandi, vice principal Aninadita Roy, Sr. Co-ordinator, Qamar Ali and junior co-ordinator Seema were present. The other staff members Gopal Singh, Mithun, Ramu, Ujjwal, Pankaj and Niloptal Das also graced the occasion. Aniket Mohanty won the first prize followed by Md. Imran and Shaqub Rafique. It may be noted that the school organises Mini Marathon every year.